This subscription offer for WABIP members is an online-only plan and includes full access to current and archived issues of the journal. 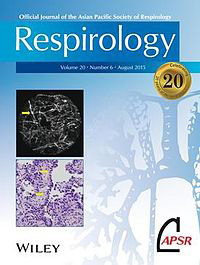 If you are already a subscriber, you may access Respirology by first going to our Member Page. Otherwise, WABIP members may subscribe to Respirology here (log in required). 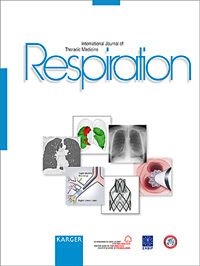 Respirology is a journal of international standing, publishing peer-reviewed articles of scientific excellence in clinical and experimental respiratory biology and disease and its related fields of research including thoracic surgery, interventional pulmonology, immunology, intensive and critical care, epidemiology, cell and molecular biology, pathology, pharmacology, physiology and paediatric respiratory medicine. WABIP members may find the electronic subscription form via the members-only area of our website here (log in required). Respiration brings together the results of both clinical and experimental investigations on all aspects of the respiratory system in health and disease. Clinical improvements in the diagnosis and treatment of chest and lung diseases are covered, as are the latest findings in physiology, biochemistry, pathology, immunology and pharmacology. This subscription is an online-only plan and WABIP members may find the subscription order form in the members-only area of our website here (log in required). 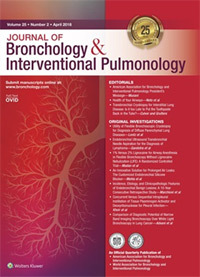 Journal of Bronchology & Interventional Pulmonology is the first journal devoted exclusively to bronchoscopy and closely related subjects. It provides much-needed timely information on the art and science of one of the most important diagnostic and therapeutic procedures in pulmonary medicine. The journal features original and review articles, case reports, technical reports, "How I Do It" tips from expert practitioners, and "Controversies in Bronchoscopy." The Journal of the Japan Society for Respiratory Endoscopy (JSRE) provides comprehensive and up-to-date peer reviewed reference information on respiratory endoscopy including bronchoscopy, thoracoscopy and closely related subjects. It features original and review articles, case reports and technical reports relating respiratory endoscopy. 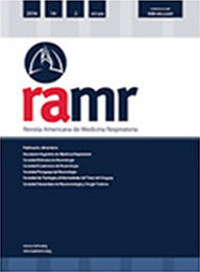 Revista Americana de Medicina Respiratoria (RAMR) is the official publication of the Asociación Argentina de Medicina Respiratoria (AAMR), the Sociedad de Tisología y Enfermedades de Tórax del Uruguay, the Sociedad Paraguaya de Neumonología, la Sociedad Venezolana de Neumonología y Cirugía Torácica, the Sociedad Boliviana de Neumonología and the Sociedad Ecuatoriana de Neumología Founded in 2001, its aim is to divulge medical investigations related to respiratory, critical care and sleep medicine, devoted to clinical or experimental medicine. 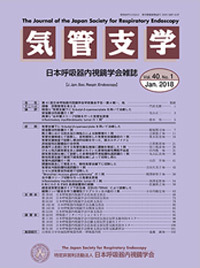 The contents include original research, special articles, clinical rounds, clinical case presentation, comments on selected articles published in the current medical literature, letters to the editor and others. Aimed at the community of pulmonary physicians and therapists of Latin America, the journal has become the most important publication in Respiratory Medicine in Argentina. Its focus is to be a suitable instrument for the scientific community. Its goals are to increase the number and quality of the publications and to reach a larger spectrum of readers and authors. Visit the official website.